PNM Issue 11 continues the trend of being our biggest and best issue to date! We said that last time with Issue 10 and now Issue 11 is 92 pages and packed with great exclusives from the world of Nintendo! 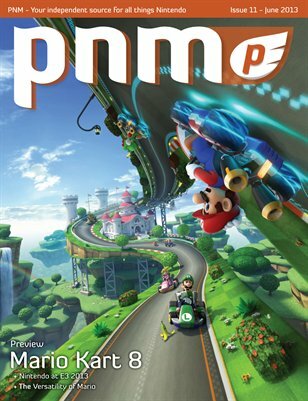 This issue is our big, E3 2013 issue and features previews for all the newest Nintendo games from E3. Check out our exclusive previews of Mario Kart 8, Super Mario 3D World, Sonic Lost World, and Super Ubie Land! Several other topics that we discuss are Nintendo's performance at E3, the Versatility of Mario, and our Pure Nintendo E3 2013 Awards. Huge thank you to all the developers who we interviewed at E3!